What simply started as Sam writing about an awesome SNES survival horror game, and me writing about its nifty little PlayStation sequel eventually turned into what I'd like to see as a series retrospective. 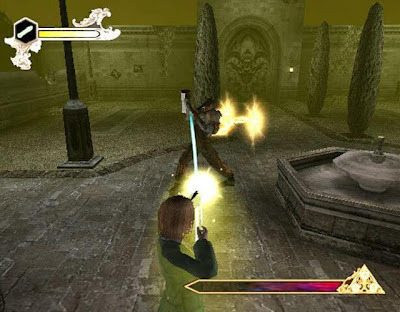 Unfortunately, a spin-off game, released somewhere between the second Clock Tower game and the third, was never released in PAL territories, so unfortunately, I cannot play it. But then again I've heard it is kind of crappy. So instead I'll move swiftly onto Clock Tower 3, which was released onto the PlayStation 2 in 2003. Hang onto your seat, baby, cause this one's a screamer! After Human entertainment went bust, the Clock Tower series was sold to Capcom. 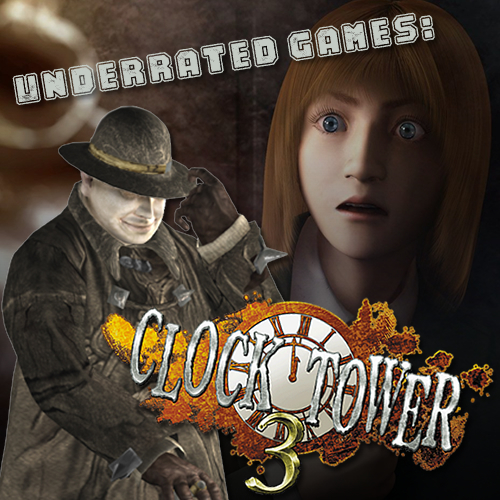 Clock Tower 3 was a completely new take on the gameplay that made the previous Clock Tower games so great and innovative in a fully 3D environment. It removed the point-and-click mechanics in favour of direct control over the character with the analog stick. The movement is fluent, easy to get the hang of and luckily doesn't incorporate the awful 'turret controls' seen in earlier survival horror titles. 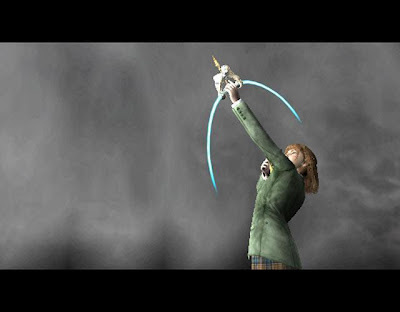 In Clock Tower 3 you play as a 14-year old girl called Alyssa who receives a letter from her mother, which says that Alyssa must hide until her fifteenth birthday passes. Alyssa is naturally worried, like most horror heroines are, so she returns home to investigate. A wild ride later, you are thrown smack dab in the middle of London circa World War II. You walk around following the way the path takes you, using holy water to ward off ghosts and before you know it everything turns rather sinister and you meet your first stalker. A giant dude with a sledgehammer, who will run after Alyssa and attack her if he gets close (which knocks her down). Stalkers can be shooed off using holy water (of which there is a limited supply). If Alyssa's 'panic meter' fills up (from being attacked, etc. ), she will go into 'Panic Mode' which will cause her to freak out and start running frantically, falling over or stopping in her tracks. The running can be controlled, however the falling over and stopping is something the player cannot prevent. I very much like the idea of the panic meter, as it allows you to keep an eye on Alyssa's panic properly, whereas in the original Clock Tower, the amount of panic was simply worked out by different colours behind a picture of the character. The only problem with this feature however, is that once Alyssa goes into panic mode, she is pretty much a goner, as it is near impossible to outrun the stalker due to her stopping or falling over and two hits in panic mode spells death. You can use an item called Lavender Water to relieve Alyssa of panic, but this item is in short supply, so really, it's just for the best if you never make Alyssa panic. Very rarely you can outrun the stalker, but this seems to be down to luck and whether or not the stalker stalls or not, which gives Alyssa time to recover. This problem wouldn't be too bad if the levels were bigger, but unfortunately this is where Clock Tower 3 falls short, as the levels are tiny in comparison to the huge mansion in the original Clock Tower game. Another thing where the game falls short is hiding places. There are absolutely not enough hiding places in the areas where you are getting chased. There will be one hiding place at the most. This doesn't help the game keep its scare value, as once a hiding place has been used once and the tension has ended when the stalker has left the room, running all the way to the same hiding place again to repeat the same process just seems like a chore. However, despite its flaws, Clock Tower 3 is definitely crafty in its delivery when it comes to the horror. 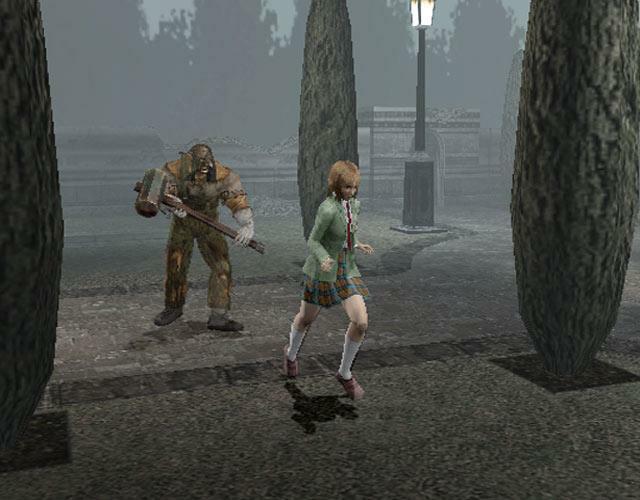 The developers didn't take the more conventional method of 'let's make everything as dark and gritty as possible in order to rid the player of any feeling of safety and make them feel incredibly isolated' that series such as Silent Hill or Forbidden Siren use in regards to crafting its scares. Oh no, it's more along the lines of, 'let's make the graphics and environments as beautiful and vibrant as possible and trick the player into feeling a little bit safe rather than feeling incredibly isolated'. 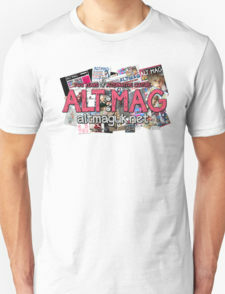 Very crafty guys, I like it. The overall look and feel of the game is very whimsical and camp yet has some real scares that make you jump out of your skin. I remember showing Sam the part of the game where the stalker 'Chopper' appears. Chopper himself looks totally lame and not scary whatsoever, aside from the fact he carries two huge axes that can kill you. But after running away you are met with no music playing and the fear of the Chopper's re-appearance starts to build ever so slightly, as you know that once he finds you, you will have to run and not running will spell Game Over. You explore for a while and Chopper doesn't appear, but you know he will appear at any second. You walk down a set of stairs and suddenly you hear a quick sharp sound which accompanies Choppers reappearance, and it is so sudden that you jump out of your skin. It scared the hell out of me and Sam. After running away from Chopper, we go down one more floor to solve more puzzles and we know that Chopper is going to appear. Sam even says to me "right, I'm ready this time". Chopper jumps out with that same sound effect and we both jump out of our skin... again. The use of that sound effect plus Chopper's cleverly placed appearance is really frightening, and these jump scares happen a lot throughout the game. Some horror fans might call these scares cheap, but they sure scared the hell out of me, so the developers did their job. There is also some really gross, awful and horrible scenes in the game, further adding to the usual messed up themes that goes on throughout the Clock Tower games. The boss battles are quite cool, although they are a bit out of place compared to the rest of the game. You get this magical bow and arrow and you have to pierce the boss with many arrows to weaken them. I love the way the boss' health is measured by the amount of years they have been sentenced for, then the word 'judgement' pops up on screen, and you know you have a job to do. Most of the stalkers are based on real-life murders, including the Coroder, who is based on the Acid Bath Murderer, who lived in a town near me! I better watch my back from now on... well maybe if I was living back in the 1940s. Anyway, that's all for Clock Tower 3, which was a great new direction for the series, but it wasn't without its flaws. 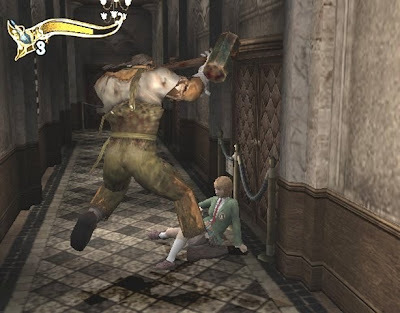 A lot of these flaws were ironed out in the absolutely fantastic Haunting Ground, a game that came later in 2005, but that one is for another day.